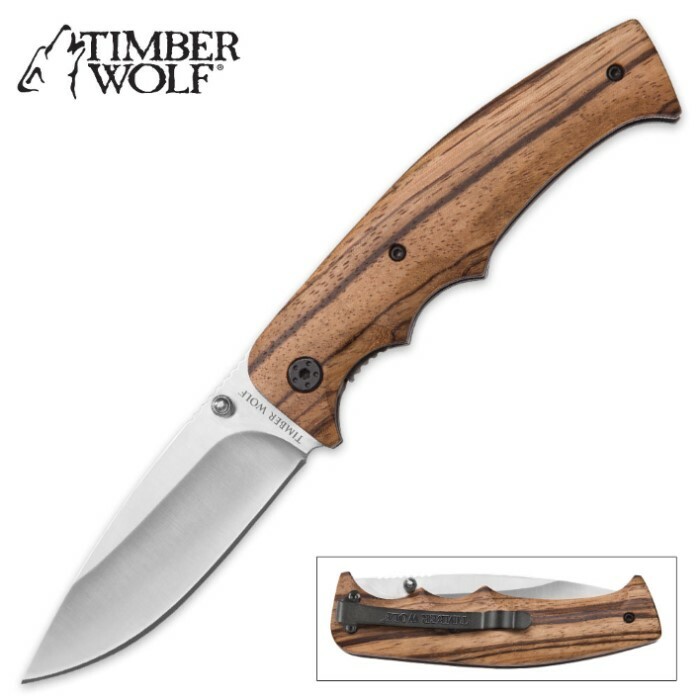 Timber Wolf "Okapi" Zebrawood Pocket Knife | BUDK.com - Knives & Swords At The Lowest Prices! 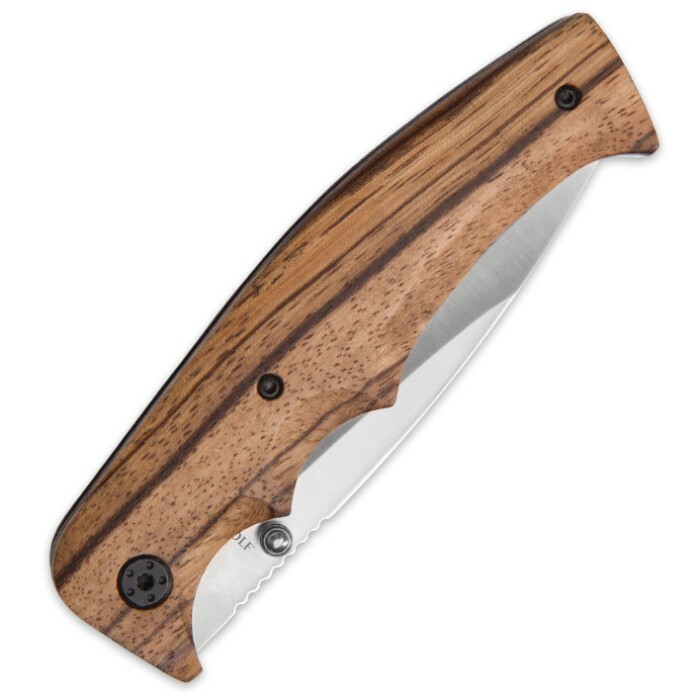 Timber Wolf's Okapi Pocket Knife boasts a simple, no-frills design that lets the striking natural beauty of its zebrawood handle shine unencumbered. Its 3 1/4" 3Cr13 stainless steel blade features a classic drop point profile and a fine edge carefully honed to razor sharp. Convenient thumb studs on both sides of the blade allow for remarkably smooth opening - a flick of the wrist and a nudge of the thumb stud is all it takes to send it flying open at lightning speed. The liner lock secures the potent blade in the open position for safety and stability, even during vigorous use in harsh environmental conditions. Regal stripes of varying thicknesses and other raw rustic accents cover the zebrawood handle, which is satin finished to let the gorgeous shades of mocha, umber and deep brown to dazzle in their all-natural state. Ergonomically shaped to fit any hand like a glove, the handle provides the grip and stability of a fixed blade in a handy, ultraportable folder. The Okapi is especially well suited to everyday cutting tasks, but that's not to say it can't hold its own in challenging wilderness and/or survival scenarios. The stunning beauty of the Okapi also makes it perfectly at home in any fine knife collection and/or display.